Located in the heart of the tiny and romantic village of Ravello, Villa Eva is a liberty style villa and a splendid wedding venue on the Amalfi Coast. It is situated in a picturesque street dotted with the small local shops, only 10 minutes walking from the main square of Ravello (read more about Ravello Wedding Destination). Hidden from the view of the tourists, you can’t miss to be nose around this venue in Ravello when you will see the beautiful alleyway at its entrance. Lit with lanterns and candles, this path accompanies the guests in a splendid garden made with a large lawn and vibrant flowerbeds. In such a lovely setting, the guests of the weddings are welcomed with delicious appetizers and drinks. Also a BBQ and wood oven are available in this area to pamper the guests with grilled vegetables, fish, meat and freshly made pizza and bread. Still in the garden of the splendid Villa Eva is a marquee permanently set which permits to arrange the wedding dinner without worrying about the weather conditions. Of course, I can’t forget to mention the cuisine of Villa Eva. It is supervised by the local chef who proposes the most exquisite recipes of the Italian cuisine, always prepared with the freshest ingredients of the area and, above all, with the bio products grown in the garden of the property. 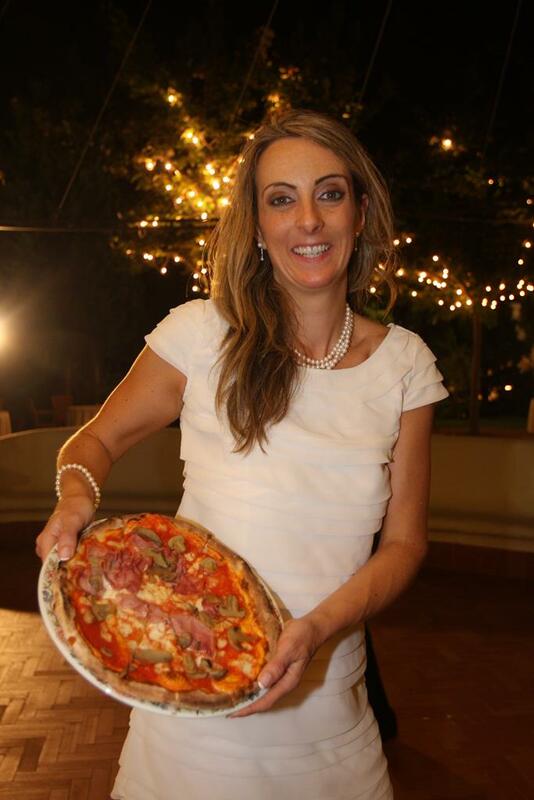 For the Italian food lovers, don’t forget to book the cooking classes conducted by the local chef. Civil ceremonies with legal binding are held in the beautiful garden of Principessa Piemonte in Ravello, about 10 minutes walking from the venue. The Catholic ceremonies can be celebrated in one of the beautiful Churches of Ravello, from the beautiful the Cathedral in the main square to the more intimate churches. One of the Church in Ravello is also available for Prostestant ceremonies. Otherwise, these can be set in the garden of Villa Eva, as well as Symbolic ceremonies. The venue is suitable either for small and large parties. The marquee area can host more than 150 guests. Music is allowed outdoor until midnight. Afterwards the party can continue indoor until 02.00 am. The nearest airport is Naples Capodichino, about 1 hour and 15 minutes from Ravello. Upon request, Bellissimo Wedding can book car/bus transfers for the guests. Villa Eva does not provide accommodation on site but it is part of a complex which includes two hotels, Villa Maria and Hotel Giordano. Villa Maria is literally opposite to Villa Eva and offers 23 rooms (including Standard rooms, Superior rooms and 1 Junior Suite). Hotel Giordano, is a stone trow from the main square of Ravello and 5 minutes walking from Villa Eva. It provides 33 rooms. 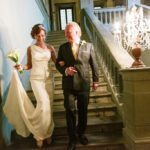 The fee for the hiring of Villa Eva on the wedding day is not applied in the case the number of guests is superior to 80 adults. Otherwise, the rental fee will be charged depending on the day of the week and number of guests. For a rough idea, please consider the price range is between €1.000+ vat and €8.000+ vat. For a more detailed quotation, contact us. The menu price starts at €120 per person. 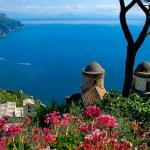 The splendid Villa Eva Ravello is part of a complex which includes also two lovely hotels in Ravello. One of them is located just opposite to the villa (ideal for the getting ready of the bridal party), the other one is a stone throw from the main square and the cathedral. The guests of these hotels can take advantage of the facilities available in the two structures: swimming pool, restaurant, spa, parking area. However, being in the heart of village, the venue is easily reachable from the other hotels, B&B and apartments of Ravello (contact Bellissimo Wedding to get a list of the accommodation in Ravello). Villa Eva is recommended to the couples who are looking for a private villa in Ravello and a romantic and relaxing wedding on the Amalfi Coast. It is ideal for a midnight pizza party and dancing until late (the venue allows music until 2am). For additional details about Villa Eva Ravello, do not hesitate to contact us. We will be pleased to reply to your queries and provide you with a tailored quotation.